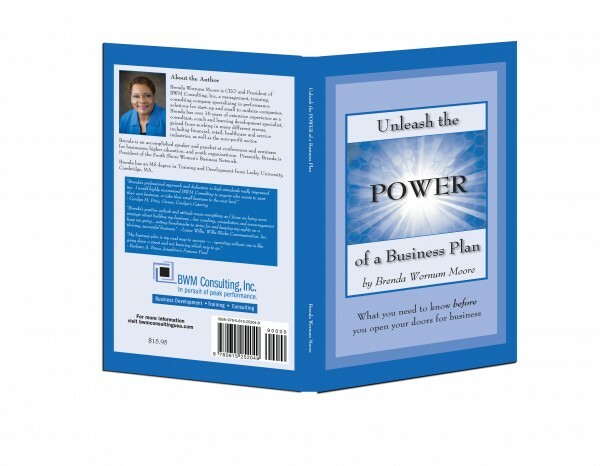 My client Brenda Wornum-Moore of BWM Consulting wrote a book for business owners, “Unleash the Power of a Business Plan,” and asked me to design the covers. Of course we designed the book to coordinate with her existing branding: logo, colors and look, with the addition of an eye-catching graphic. You can purchase the book here. View BMW Consulting’s website and/or purchase the book here.